Oh Bother. 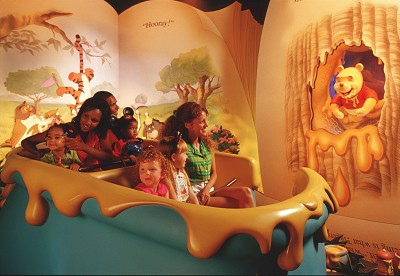 The Winnie the Pooh attraction at Walt Disney World will be temporarily closed to FASTPASS users from September 17 until mid-November due to construction. The large tree that was a part of "Pooh's Playful Spot" playground has been temporarily relocated to a home at "The Many Adventures of Winnie the Pooh." There are a variety of other signs of construction in the area that may deter some Disney fans. Not to worry, though, the attraction will remain open until October 25th. Beginning on October 25 the ride will close until November 15th for refurbishments.